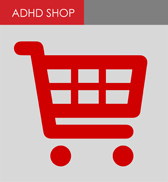 If you are looking for information about ADHD at any age contact the ADHD Helpline. The ADHD Helpline is open Tuesday, Wednesday or Thursday between 10:30am and 4:30 pm. If the line is busy or a volunteer is not in attendance you can leave a message, your name and contact number and someone will contact you at the next opportunity. ADHD Helpline telephone number is 02 9889 5977.